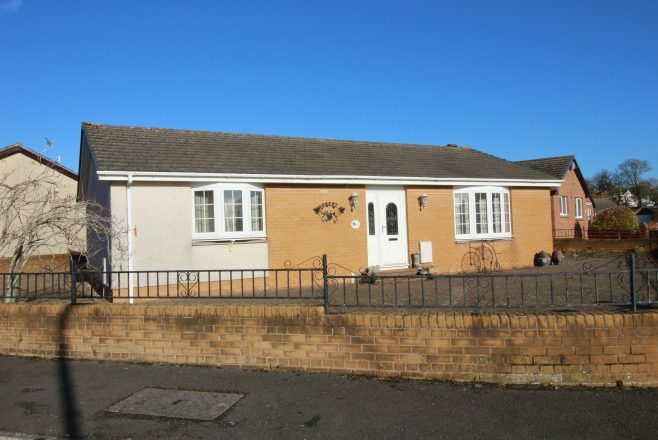 This detached two bedroom bungalow is situated on a corner site in a quiet cul-de-sac, within a pleasant residential area of Annan. 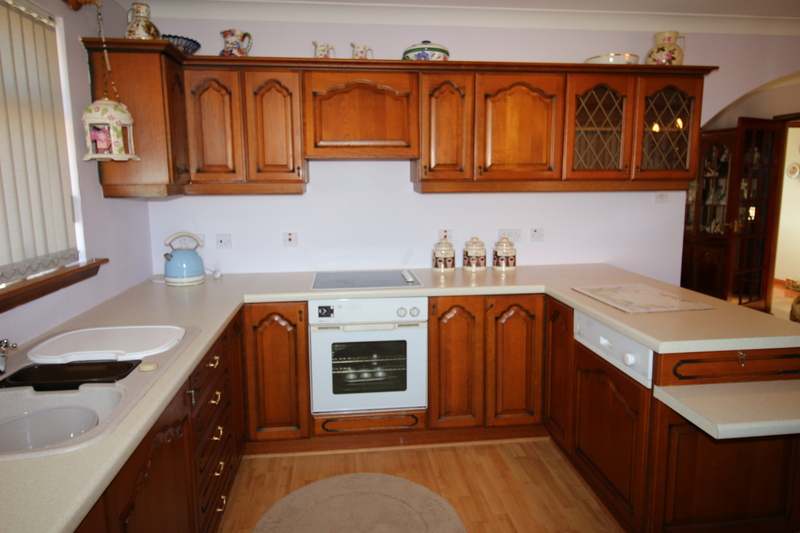 The property is within walking distance of local primary and secondary schools. 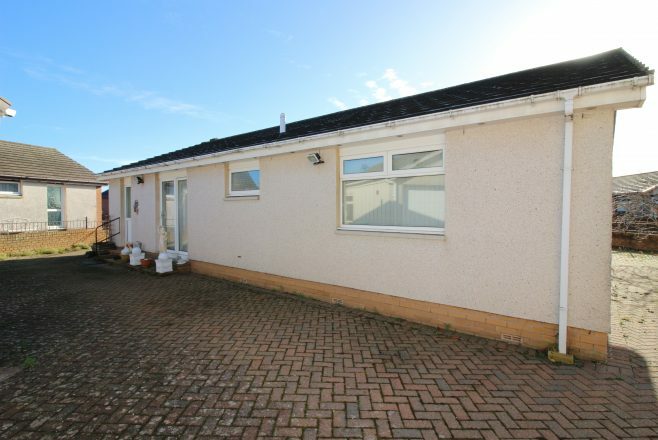 The property itself is well maintained with the garden surrounding the property being laid in block paving and offering ample off road parking. The single garage has an electronically operated up and over door. There is an external side door which opens into a utility space with power and lighting. Gas central heating and double glazing throughout the property. Outdoor lighting, outside tap and rotary clothes dryer. 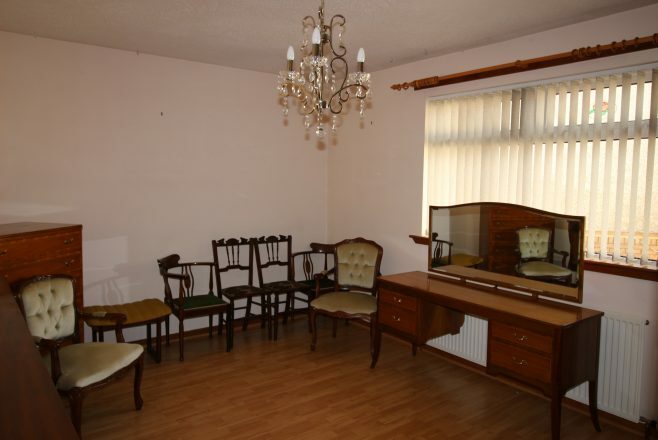 Inside the property the vestibule with parquet flooring opens into the spacious hall. 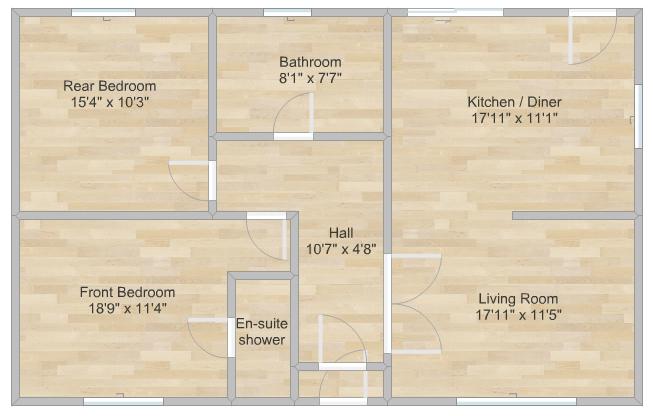 The interior has laminate flooring throughout. 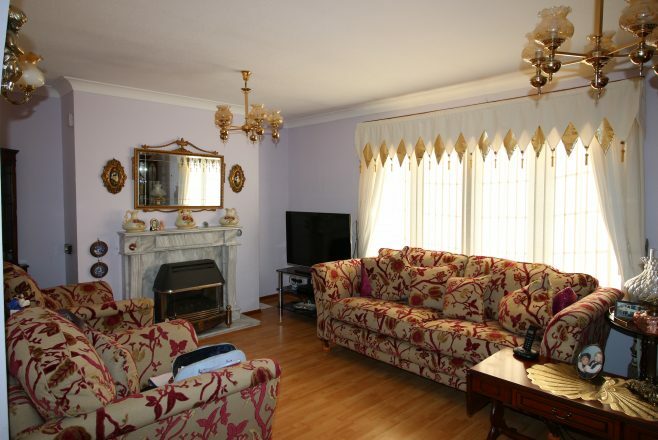 The living room has a bay window to the front and gas fire set on marble hearth and fireplace. 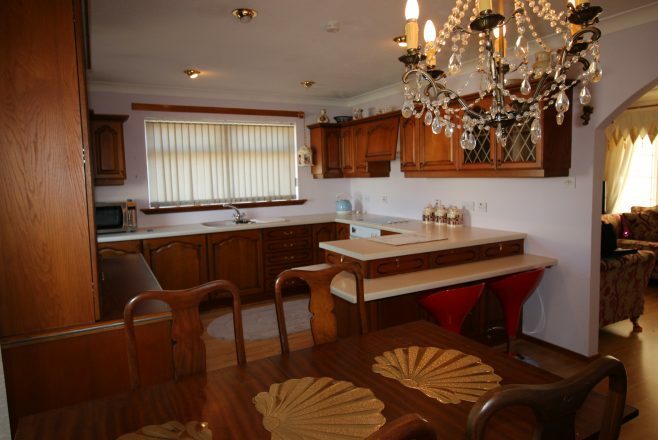 This room is open plan with the kitchen / diner which has double patio doors from the dining area out to the rear, fitted base and wall units with integrated fridge and freezer, Zanussi dishwasher and Zanussi oven with hob and extractor hood above. A further rear door also opens to outside. 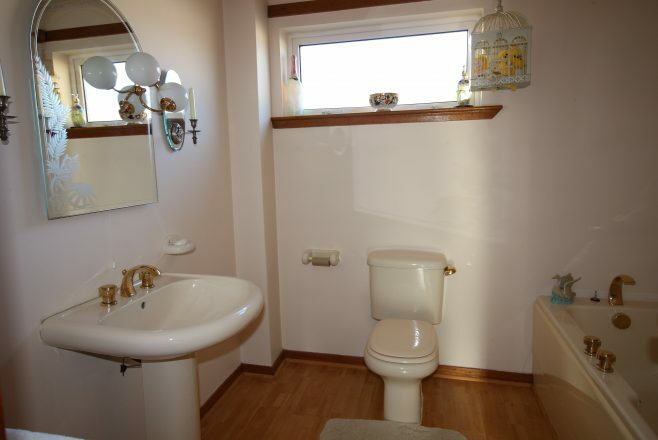 Returning to the hall, the modern bathroom is to the rear with the facilities having gold plated fittings. 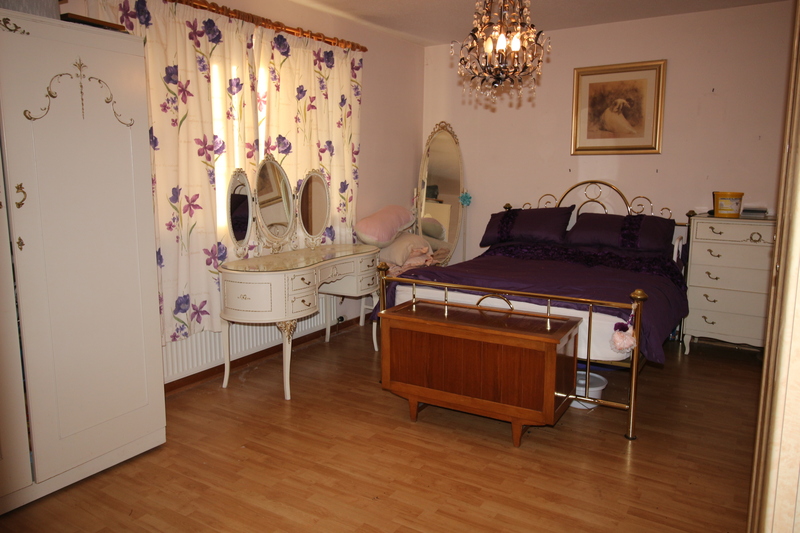 The front bedroom has bay window and an en-suite shower room. There is a further bedroom to the rear. There is an access hatch to the attic. Extras—All floor coverings and light fittings can be included in the sale.